A woman was yesterday found dead under a bridge in Umuahia, Abia State. "The dead body of a lady has been discovered at the Ihie Bridge through Isi court Amakama in Umuahia south LGA. It was alleged that the lady may have been raped by some hoodlums and killed. When contacted, the Abia state PPRO Ogbonnaya Geoffrey confirmed that police is aware of the development and that the Commissioner of Police Abia State CP Leye Oyebade is making effort to contact the authorities of community for the processes of removing the corpse. 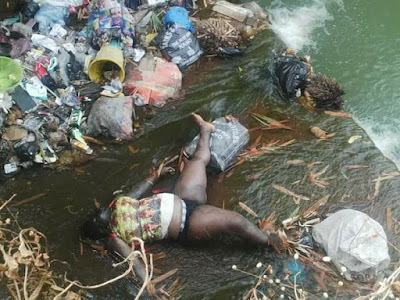 According to the residents of the area, the body of the dead lady was discovered on Tuesday morning which signaled that the lady was killed on Monday night."